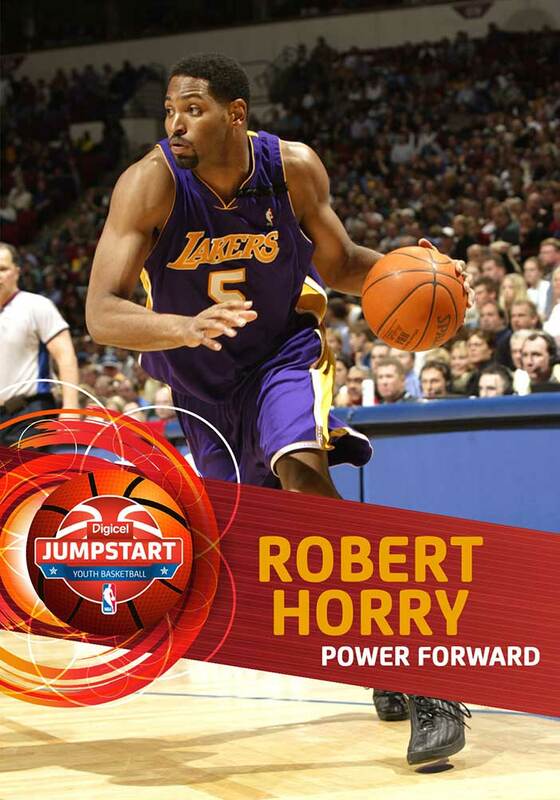 BRITISH VIRGIN ISLANDS, Oct. 4, 2016 – Digicel and the National Basketball Association (NBA) announced today that seven-time NBA Champion Robert Horry, 1977 NBA Champion and former NBA head coach Lionel Hollins and two-time WNBA All-Star Skylar Diggins will coach at the Digicel NBA Jumpstart Elite Camp in the British Virgin Islands from Oct. 7-9. 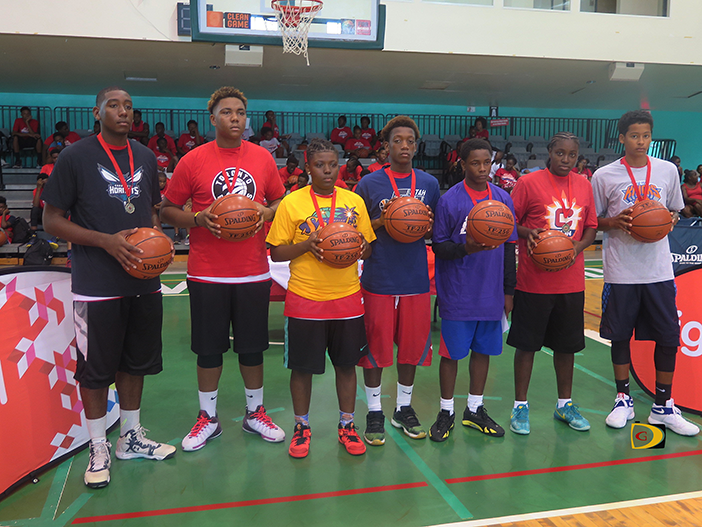 The Elite Camp will feature the top 63 players – 45 boys and 18 girls – from the Digicel NBA Jumpstart Clinics held in nine Caribbean countries this fall. At the conclusion of the Elite Camp, the NBA and Digicel will choose the top thirteen players – eight boys and five girls – who will have an opportunity to take part in an authentic NBA experience in the U.S. later this year. 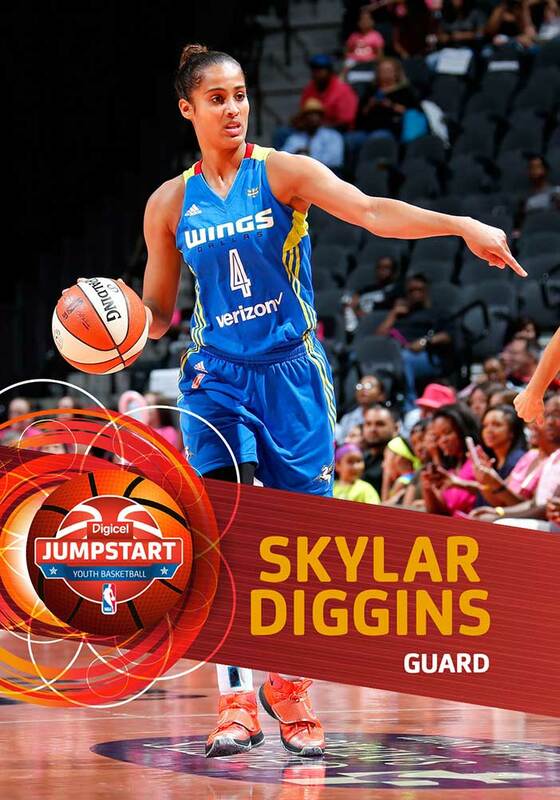 The Digicel NBA Jumpstart Basketball program, now in its second year, began Aug. 24 and took place in Antigua and Barbuda, Barbados, Bermuda, British Virgin Islands, Dominica, Grenada, Jamaica, Trinidad and Tobago, and Turks and Caicos Islands. The clinics, run by NBA assistant coaches and D-League coaches, along with NBA International Basketball Operations staff, brought together hundreds of players and coaches from across the Caribbean. Each clinic featured the top boys and girls born between 1999-2001 from their respective country and coaching clinics for local coaches. Last year, Digicel and the NBA announced a multiyear partnership that will deliver live games and extensive NBA programming to almost 30 Caribbean territories through Digicel SportsMax and makes Digicel the Official Wireless Partner of the NBA in the region. This partnership also allows Digicel customers to get in on the action through a number of promotions that will be launched across the Caribbean. The 2016-17 NBA season starts Tuesday, October 25. The NBA is a global sports and media business built around three professional sports leagues: the National Basketball Association, the Women’s National Basketball Association, and the NBA Development League. The league has established a major international presence with games and programming in 215 countries and territories in 49 languages, and NBA merchandise for sale in more than 125,000 stores in 100 countries on 6 continents. NBA rosters at the start of the 2015-16 season featured 100 international players from 37 countries and territories. NBA Digital’s assets include NBA TV, NBA.com and the NBA App, which achieved record viewership and traffic during the 2015-16 season. The NBA has created one of the largest social media communities in the world, with more than one billion likes and followers globally across all league, team, and player platforms. Through NBA Cares, the league addresses important social issues by working with internationally recognized youth-serving organizations that support education, youth and family development, and health-related causes.